Enjoy a comfortable cruise on the Norwegian Sky with beautiful interior and delicious meals prepared by award-winning chefs. Experience an extraordinary cruise vacation on board the Norwegian Sky. The second smallest of the fleet, the Norwegian Sky invites up to 2,000 guests on board, providing state-of-the-art facilities with a more intimate ambience than on board other Norwegian Cruise Line ships. 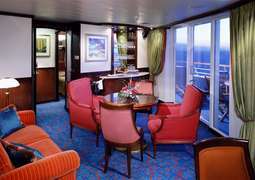 Enjoy your dream cruise vacation to the Caribbean, Mexico, and the Bahamas in your choice of modern, comfortable stateroom or luxurious Suite. A fabulous variety of complimentary and specialty dining options await your visit, from the all-American Cagney’s Steakhouse to the romantic Tuscan restaurant, Il Adagio. Come evening, lively terrace bars and cozy lounges entertain, as do smash-hit stage show and Broadway spectaculars at the Stardust Theatre. Whether you’re travelling solo, with the family or with that special someone, your dream cruise vacation awaits you on board the Norwegian Sky. Experience an extraordinary cruise vacation on board the Norwegian Sky. 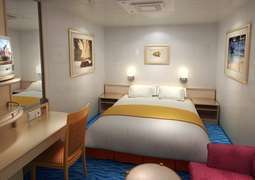 The second smallest of the fleet, the Norwegian Sky invites up to 2,000 guests on board, providing state-of-the-art facilities with a more intimate ambiance than on board other Norwegian Cruise Line ships. Enjoy your dream cruise vacation to the Caribbean, Mexico and the Bahamas in your choice of modern, comfortable stateroom or luxurious Suite. A fabulous variety of complimentary and specialty dining options await your visit, from the all-American Cagney’s Steakhouse to the romantic Tuscan restaurant, Il Adagio. Come evening, lively terrace bars and cozy lounges entertain, as do smash-hit stage show and Broadway spectaculars at the Stardust Theatre. Whether you’re traveling solo, with the family or with that special someone, your dream cruise vacation awaits you on board the Norwegian Sky. 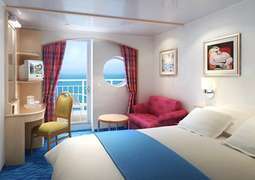 The Norwegian Sky offers a variety of chic and comfortable stateroom options, from stylishly-designed Interior, Oceanview and Balcony staterooms to the luxurious Suites in The Haven. A world of dining delights awaits you on board the Norwegian Sky, with a variety of delicious dining options please every palate on board. You will be spoiled for choice with a great selection of complimentary dining, and foodies can indulge in authentic American-Style eats at Cagney’s Steakhouse, authentic Italian at Tuscan restaurant Il Adagio, or signature French fare at Le Bistro – ooh la la! The Norwegian Sky offers unforgettable entertainment and first-class facilities. Let the Stardust Theatre sweep you off to Broadway with its smash-hit stage shows, or step into the thrilling world of Roulette, Blackjack, and Craps at the Sky Club Casino. For those into poetry and prose, the Mark Twain library boasts a stunning selection of first-class literature to spoil your soul. The Splash Academy, Video, and Arcade and The Zone make the Norwegian Sky fun for the whole family. Experience the ultimate in relaxation on board the Norwegian Sky. Unwind in one of the five on board hot tubs or make an appointment at the Mandara Spa, which offers unique and exotic spa treatments from around the world. Staying active is a walk in the park, too, with the onboard jogging/walking track offering unforgettable sea views as you work out. Norwegian Sky is a Sun-class cruise liner operated by Norwegian Cruise Line. Launched in 1996 with cruises from Miami to the Bahamas, this ship is capable of carrying 2,004 passengers. The modern vessel is considered as one of the NCL’s most popular ships. The Sky offers a joyful atmosphere, great entertainment, a slew of restaurants and bars, outdoor play areas, modern décor, luxurious suites, and comfortable standard cabins, all at a fair price. Onboard the fabulous Norwegian Sky, you will find absolutely everything you are looking for to make your holidays an unforgettable experience. 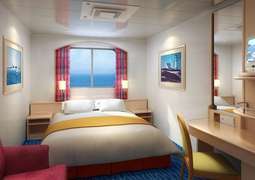 This Norwegian Cruise Line ship makes a great choice for multigenerational travel: all needs of the little ones will be satisfied thanks to youth clubs and teen zones, while adults can unwind at five outdoor hot tubs, try their luck at the Sky Club Casino or enjoy wine tasting evenings at the onboard cellar. Other public places include Outrigger Lounge offering a wide range of cocktails, The Coffee Bar serving espressos, cappuccinos and more, and Plantation Club known for its premium selection of champagne and an extensive wine selection. Norwegian Sky guests can choose among 8 different restaurants, including the main Crossings dining room, French-style restaurant Le Bistro, Il Adagio aims at setting itself apart from the idea of the “typical Italian restaurant”, and Cagney’s Steakhouse, serving perfect Angus beef and famous Parmesan truffle fries. Passengers wishing to relax in style and comfort whilst at sea will not have to look far aboard the spacious Norwegian Sky since this marvelous vessel has a wide variety of cabin types that range from classical inside cabins to the two enormous Owner’s Suites with a Large Balcony. Standard rooms are comfortable, decorated with bright fabrics and wood paneling what makes the rooms pleasant and livable. Incredible Owner’s Suites include three separate bedrooms, living and dining rooms and a luxury bath. The accommodation of Norwegian Sky was designed to create the perfect atmosphere for all type of travelers.